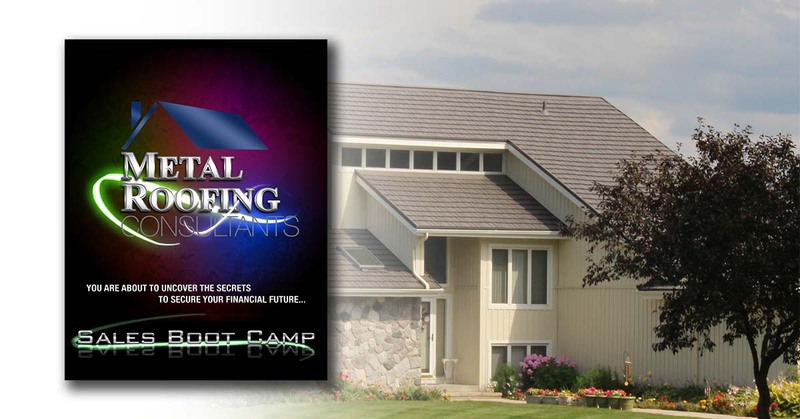 When I started out in the residential metal roofing business almost 20 years ago, there were no proven methods, templates to follow or people to give me advice. I grew American Metal Roofs in the economically depressed state of Michigan through long hours, hard work and trial-and-error. We were truly out on the frontier facing hardships and challenges — and successes — as they came. Over time we developed proven systems in each area of the business and our business and profitability grew – along with our notoriety. Companies began to seek us out to help them start, integrate or expand their metal roofing businesses. That, in turn, led us to launch Metal Roofing Consultants (MRC). After a short time, we began to be approached by manufacturers asking us to train their dealers in what we’d learned. In exchange, these manufacturers agreed to underwrite part of the cost of the MRC mentorship so dealer growth can be accelerated. We’ve pioneered the residential metal roofing business and we’re ready to train the next generation in everything we’ve learned. Are you ready to get started?